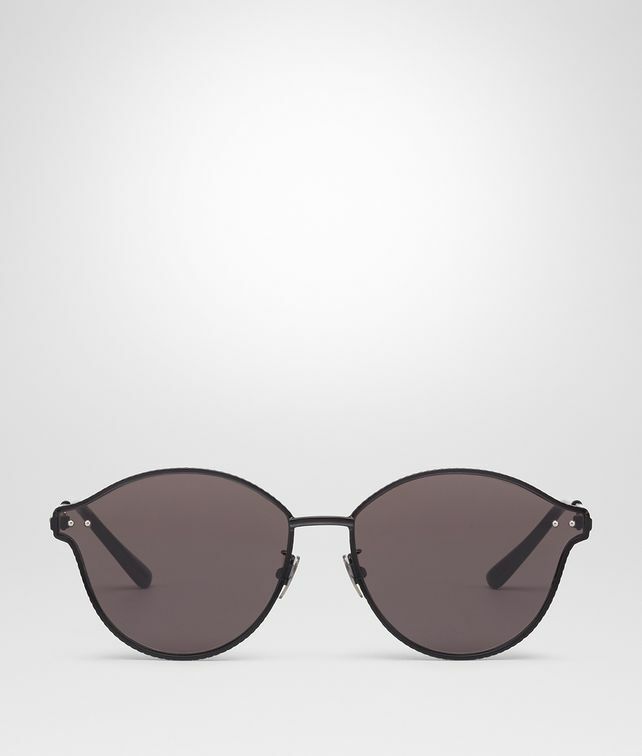 The ultramodern construction of these sunglasses makes them particularly lightweight. The silver-tone metal frame is finely engraved with the intrecciato motif and features slim metal temples, topped with transparent acetate tips. The style is finished with distinctive semi-spherical rivets and the Bottega Veneta logo plaque inside of the temple. Silver lenses.